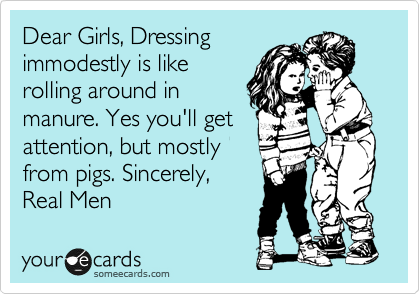 Guys seeking to walk in the way of The Christ have a hard enough time dealing with the way women decorate themselves to look pretty and garner attention. It makes it all the more difficult when our sisters in Christ do the same. Here in the United States of America, it has become not only fashionable, but commonplace for women to dress provocatively - even when they are dressed casually. As soon as many a young woman's breasts have grown large enough to become attractive, they proceed to predominantly wear bras and blouses that accentuate their breasts. The bras push up and press the breasts together so as to accentuate the cleavage, and the blouse is low cut so as to show off not only the cleavage, but much of the breasts as well. It is is a very tantalizing 'peep-show' for all the men to enjoy. This display is not limited to young girls. Women of all ages seemingly enjoy dressing in such a provocative manner. Some to a greater degree than others, and some do not even bother with wearing a bra. Additionally, dressing provocatively is not limited to the manner that I described. There are many other additional ways that women dress provocatively, even when they are dressed casually. Most of them dress in such a manner because they know that men are visually stimulated and it boosts their self-esteem to know that they are the objects of men's desire. Now I understand that this standard of dress is simply "the way of the world" to most people. However, it greatly saddens my heart to see women who profess to have given their life over to Christ to continue to dress in such a manner. I realize this is probably more a statement as to the current condition of "the visible church" than it is the actual body of Christ. Nevertheless, should not the 'visible church' be teaching against such a practice and setting a proper example to the world? I have selected the following excerpts from the Handbook of Bible Application, to bring forward some biblically-sound food for thought. It is my hope and prayer that this will be read and shared by everyone who desires to live a life that honors our Lord and Savior in all aspects of life. What kind of beauty is really worth having? Real beauty is inside the person. Rebekah had physical beauty, but the servant was looking for a sign of inner beauty. Physical appearance is important to us, and we spend time and money improving it. But how much effort do we put into developing our inner beauty? Patience, kindness, and joy are the beauty treatments that help us become truly lovely—on the inside. Real beauty affects others positively. A changed life speaks loudly and clearly, and it is often the most effective way to influence a family member. 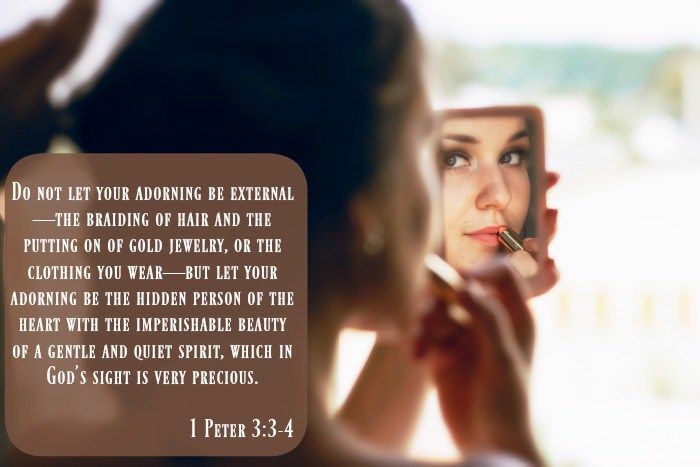 Peter instructs Christian wives to develop inner beauty rather than being overly concerned about their appearance. Their husbands will be won by their love rather than by their looks. Live your Christian faith quietly and consistently in your home, and your family will see Christ in you. We should not be obsessed by fashion, but neither should we be so unconcerned that we do not bother to care for ourselves. Hygiene, neatness, and grooming are important, but even more important are a person’s attitude and spirit. True beauty begins inside. Real beauty is not self-centered. Apparently, some Christian women were trying to gain respect by looking beautiful rather than becoming Christlike in character. Some may have thought that they could win unbelieving husbands to Christ through their appearance (see Peter’s counsel to such women in 1 Peter 3:1-6). 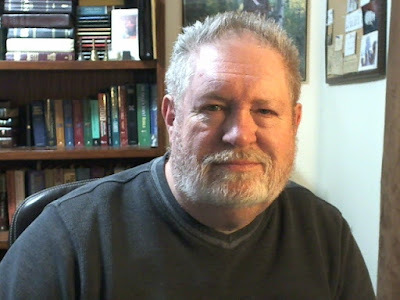 It is not unscriptural for a woman to want to be attractive. Beauty, however, begins inside a person. A gentle, modest, loving character gives a light to the face that cannot be duplicated by the best cosmetics and jewelry in the world. A carefully groomed and well-decorated exterior is artificial and cold unless inner beauty is present.